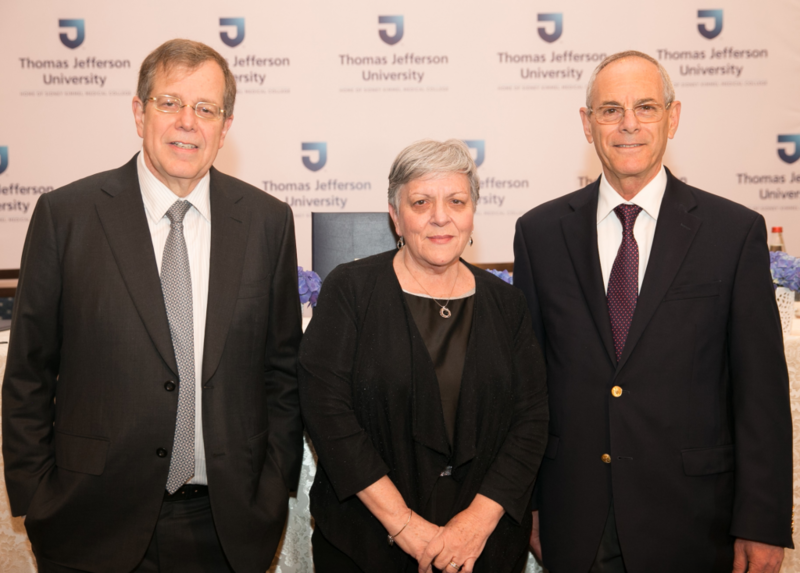 Mark Tykocinski, MD, provost and executive vice president of Thomas Jefferson University; Professor Dina Ben-Yehuda, dean of the Hebrew University Hadassah Faculty of Medicine; and Zvi Grunwald, MD, executive director of the Jefferson Israel Center, at the announcement of the Jefferson Israel Center. To improve healthcare-related technology solutions around the world, Thomas Jefferson University has partnered on an international project where four Israeli companies will receive a total of $1 million toward research and development from the Israel Innovation Authority (IIA). The project and partnership are a result of the newly formed Jefferson Israel Center, said Dr. Grunwald, who serves as its executive director, and the University’s and IIA’s mutual interest to source, develop, deploy and commercialize innovative technologies, products, services and devices within the healthcare sector. For example, a national report by Brookings Institution on the commercial outcomes of downtown research universities recently ranked Jefferson 12th best overall and 8th for startups, and the 2019 Bloomberg Innovation Index named Israel the fifth most innovative economy in the world. Through the project, Jefferson will create a seamless process for Israeli companies to test their concepts in a living laboratory, as well as provide access to Jefferson clinical, service line, administrative and leadership staffs across a variety of care settings (i.e., inpatient, outpatient, ambulatory, urgent care, rehabilitation and community). Applicants have until March 28, 2019, to submit their expression of interest. The winners will be announced in December 2019. For more info, contact zvi.grunwald@jefferson.edu or jonathan.cohen@innovationisrael.org.il. Read the full call for proposals here.